Today was a big day for OnePlus, its smartphone line, and its image in the US. 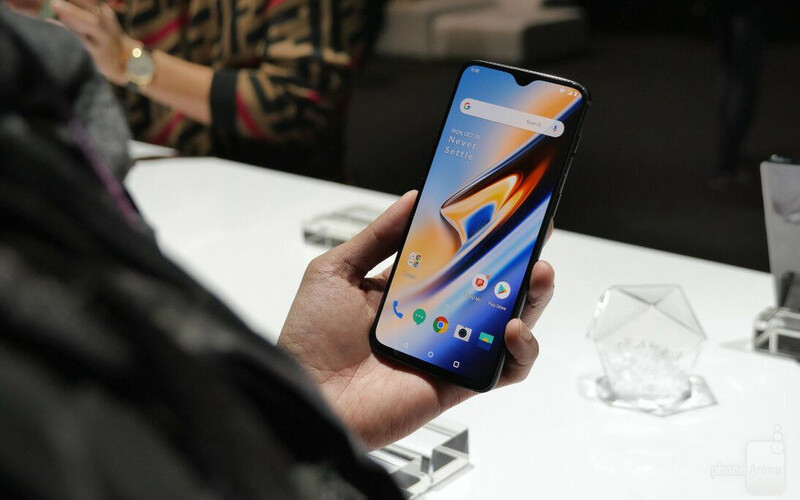 The company held an event to celebrate the launch of its newest flagship, the OnePlus 6T, on American soil and in addition to a cool new smartphone, it also announced a couple of important details surrounding the phone's local distribution and operation. 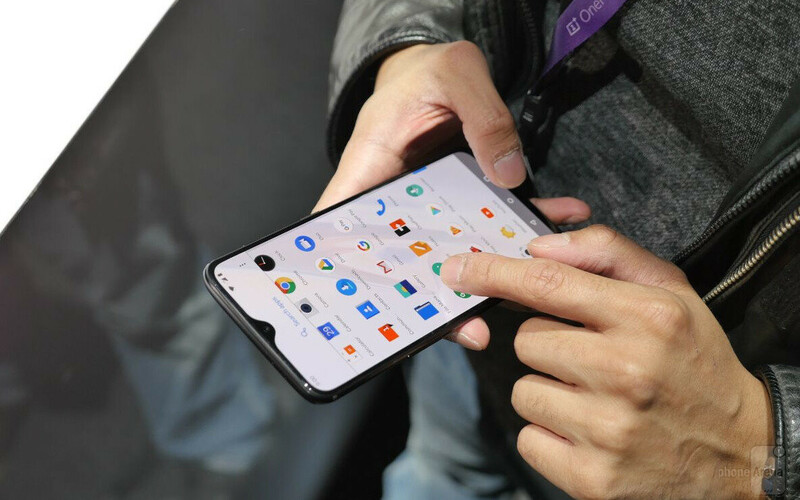 But first – the OnePlus 6T! As it's fitting for a T-upgrade, the 6T strikes us as quite similar to its predecessor overall. 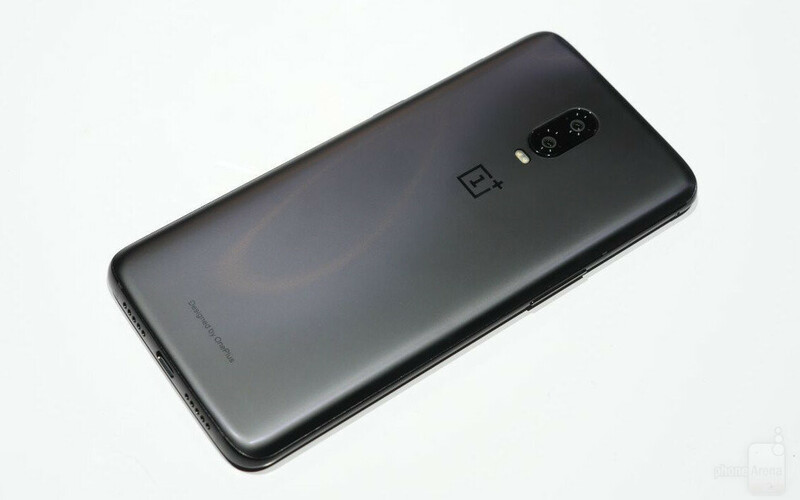 If you've seen or held or used a OnePlus 6, then the 6T will by no means be a radical departure. The phone feels just as solid, with a nice, smooth finish, and a relatively lightweight build. It's one of the more comfortable phones to use of this caliber. There are a bunch of headlining features that come with the OnePlus 6T. 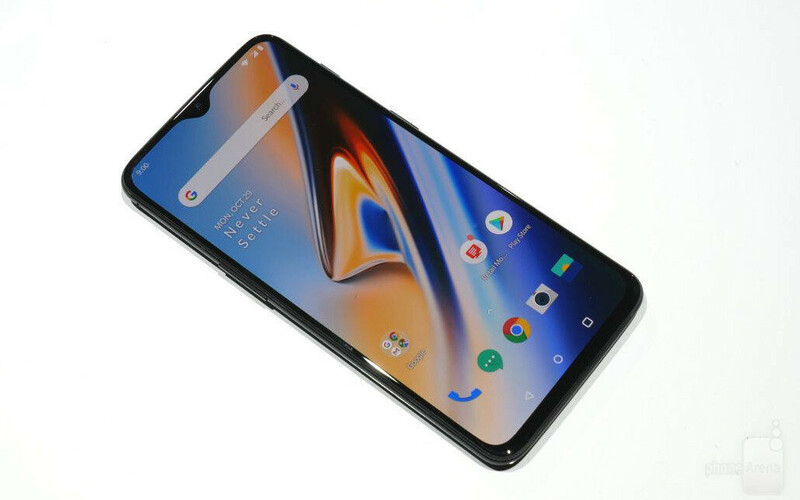 First, of course, is that stylish, water drop-like notch. 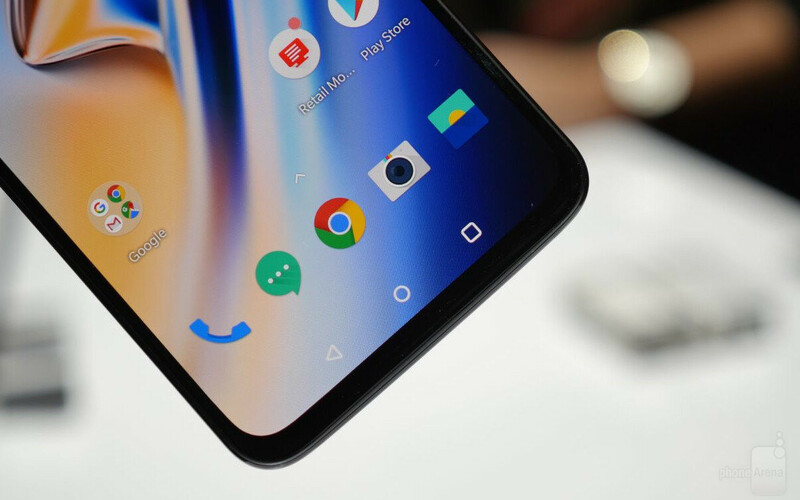 Whether or not this notch style is going to feel better in the long run we obviously cannot tell, but it sure looks interesting. The screen has also grown somewhat: from 6.3" to 6.4". That's by no means a meaningful difference, of course, so you might as well not notice it at all. Besides, everything above 6 inches feels more than spacious enough at this point, correct? 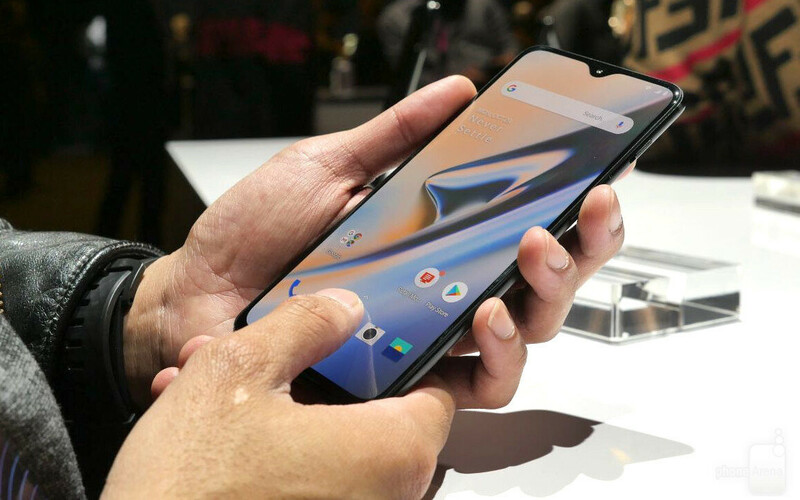 The OnePlus 6T features a stylish water drop-like notch. One of the bigger additions debuting in the 6T is an in-screen fingerprint scanner. Previously located on the back of the phone, the scanner is now hidden right under the lower part of the display. We can't speak to its accuracy or performance at this point — for that, we'll have to spend some more time with the phone — but we're nonetheless happy to see more and more mass-produced phones finally adopt this highly requested feature. Sure, the OnePlus 6T also has facial recognition, but OnePlus's implementation is not as secure as it has to be. The big news today is that the OnePlus 6T will be officially offered through T-Mobile in the US, and the carrier is even going to throw some sweet deals at those never-settling fans of the brand. 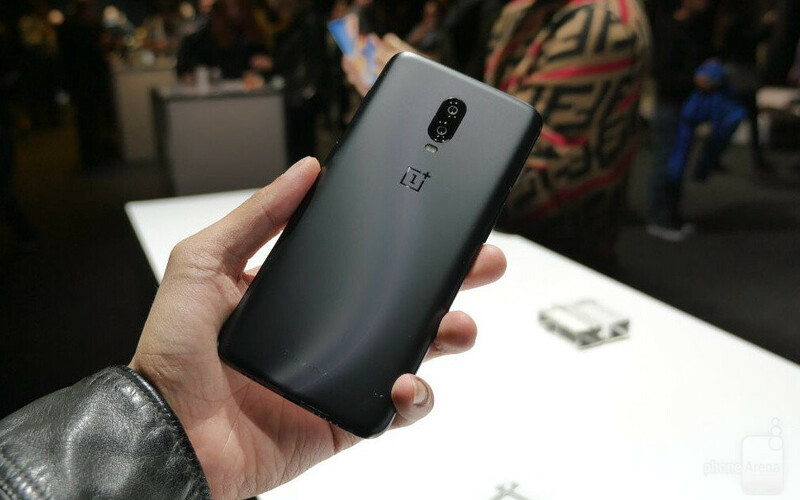 What's more, this will also be the first OnePlus phone capable of running on the Verizon Wireless network – also a great achievement for OnePlus and its North American presence. Salty much? Stop attacking the techsite, you're reading their articles anyway. 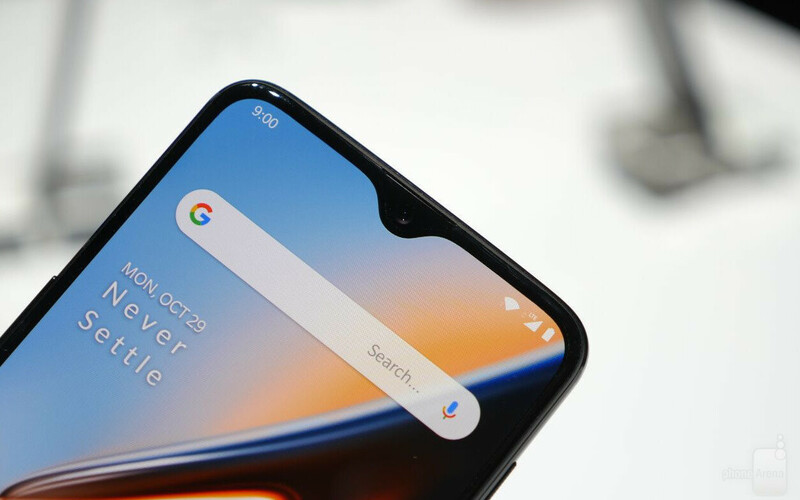 Teardrop notch actually looks good, but it's still a notch nonetheless. Ill wait for the iPhonearea review. The will probably give it a 8 since it cant be better than an iPhone. They do like the oneplus phones expect a 9. 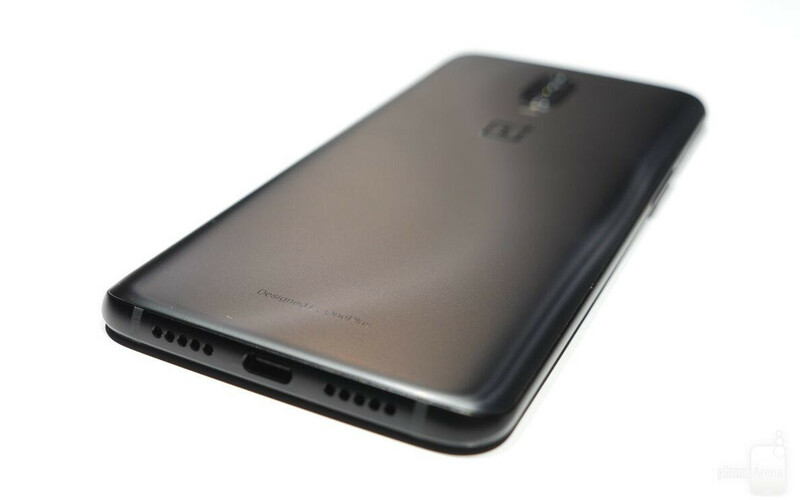 Maybe even higher, since this does improve on the OP 6 (which got a 9) in battery size and design. I see absolutely no reason to chose another Android phone over this one (maybe IR rating, but I'm ok with not going into the pool with my phone, if it means I pay 400€ less). Now only 3 flagship models are using microsd and headphone jack: the galaxy s, zenfone and the lg g series. I really hope these taiwan and south korean companies will not remove them like these chinese flagship phones. To bad it’s missing these 2 points. At 6.4 QHD does matter. If you took a picture with a 12mp vs a 24mp. The picture obviously is different. I’m not sure why everyone thinks a display is any different. A phone that size should have been able to accommodate a min 4000 mah battery. 402ppi is still 402ppi no matter what size screen it is. The only real negative I see is that they removed the LED light without enabling Always-On-Display. 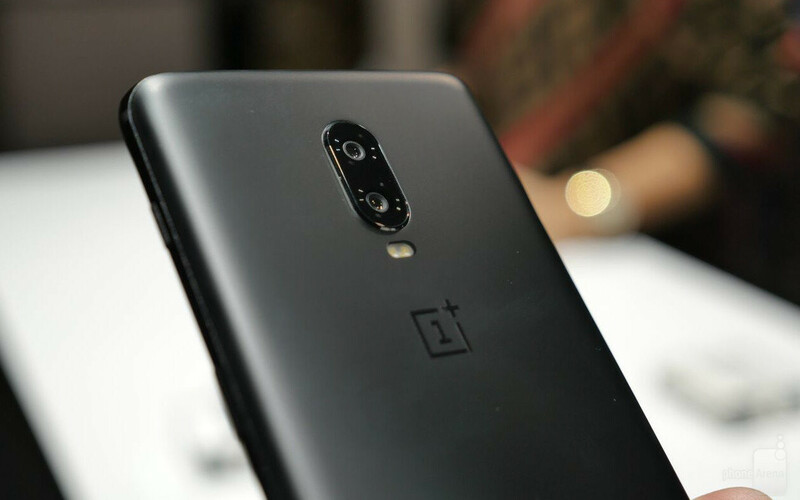 "OnePlus 6T also has facial recognition, but OnePlus's implementation is not as secure as it has to be." Like many idiots, you're confusing less secure with not secure. Being secure to 1 in a billion might be the most secure. But being secure to 1 in a million is still perfectly fine to pretty much everyone. Yes I made those numbers up to illustrate a point. Less is not 'not'. If it can be unlocked with a photo, it’s “not” secure. If someone can physically threaten you and make you unlock your phone, it's "not" secure. Also my 5T can't be opened by a pic of me, so maybe also get your facts straight too, sheep. I want to respond with how utterly stupid your ‘logic’ is, but I think it speaks volumes on its own.